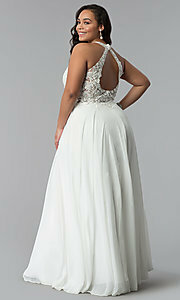 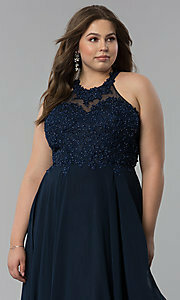 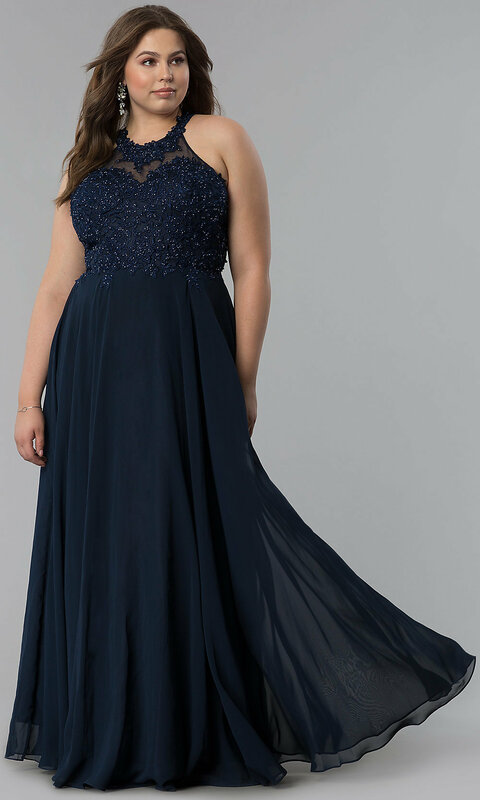 Grace the prom in this long plus-size formal dress that boasts an elegant design and gorgeous floral-lace applique. 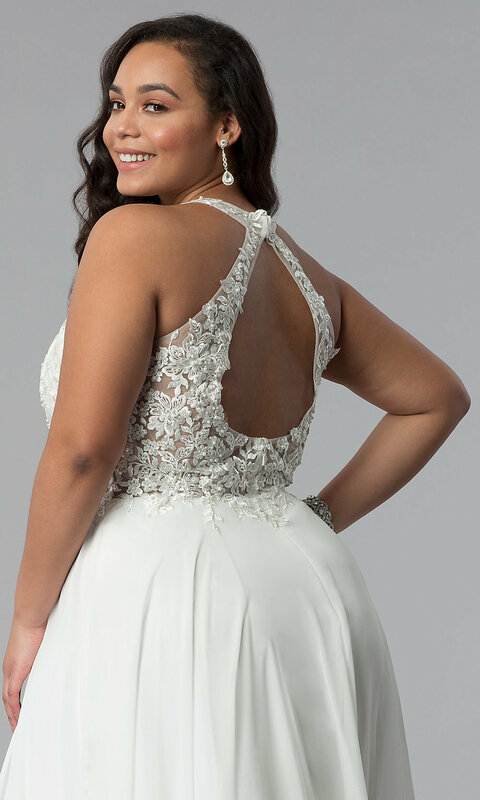 Fashioning a racer-front high neckline and framing an eye-catching teardrop-shaped cut out along the back, delicate lace is the first of many enchanting details on this plus-size evening dress. Just below the neckline on the plus prom dress, sheer mesh reveals a sweetheart-shaped lining enhanced with more embroidered patterns, as sparkling stones and pearls make every inch of this sleeveless bodice difficult to ignore. 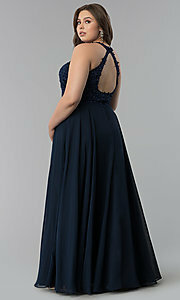 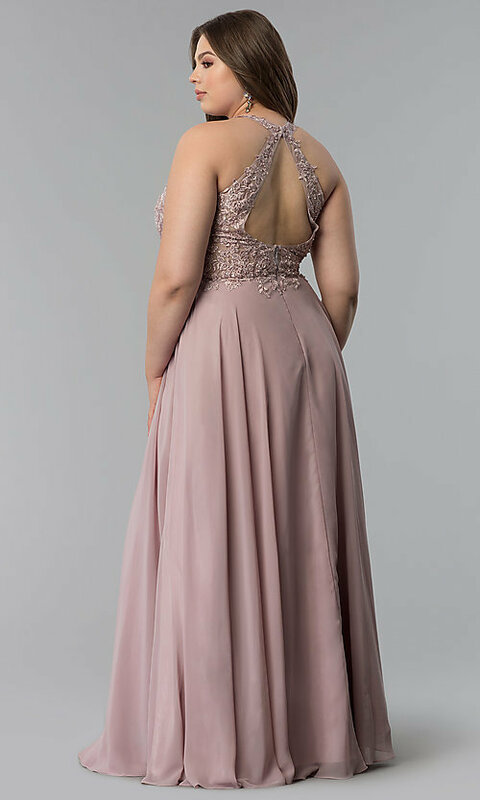 Glimmering just beyond the natural waist, flowing chiffon extends out over the hips in a graceful floor-length skirt to complete the long plus-size prom dress with elegance. 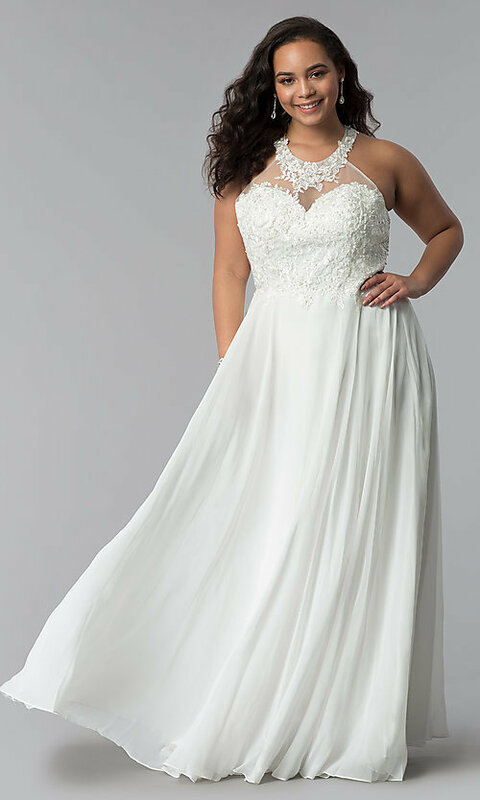 The model wearing off white is 5'9" and wearing 6" heels.